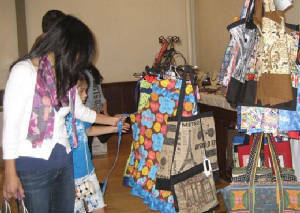 Santa Clara (CA) Saturday, Dec. 6, 10 a.m. - 4 p.m., Central Park Library, Holiday Craft Faire, 2635 Homestead Rd. Free Admission. 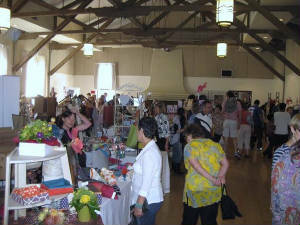 Portola Vallely (CA) Holiday Fair, Sunday, Dec. 7, 10 a.m. - 4 p.m., Woodside Priory Performing Arts Center, 302 Portola Road. Free Admission. 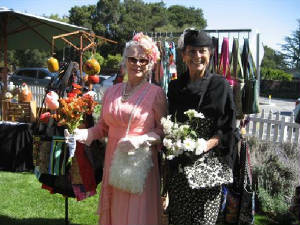 Los Gatos (CA) Sunday November 23, 2014, 9 a.m. to 3 p.m., at the Shir Hadash Early Childhood Center, 20 Cherry Blossom Lane, Los Gatos 95032; phone (408)358-1751. 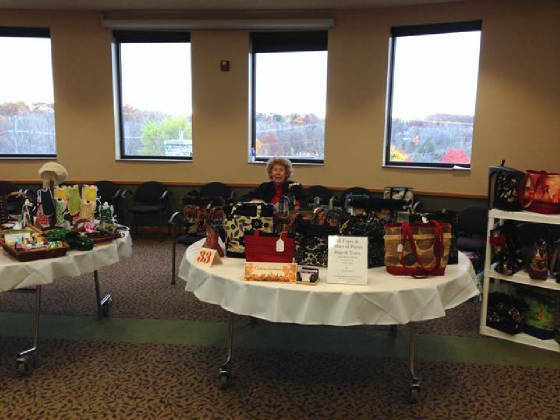 Arlene (above) was at the OPC (senior center) Art & Craft Show in Rochester, MI, with her latest purses and totes on Wednesday, October 29, 2014. 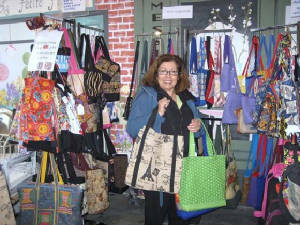 Tote Your Stuff was at the Paris Flea Market Vintage Warehouse April 3 & 4, Livermore, CA, 535 Leisure St. Information: www.parisfleamarket.com. 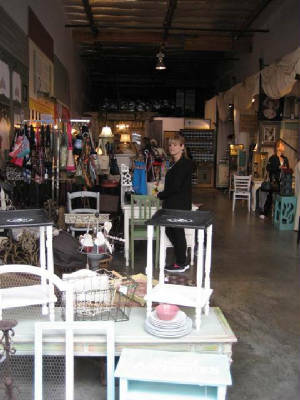 Tote Your Stuff was in the new warehouse annex at the Paris Flea Market, Livermore, CA. 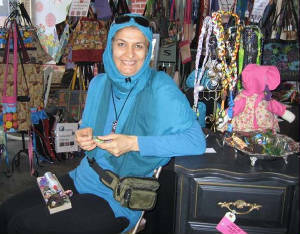 Artist Minoo Asadi Amjadi creating a fabric necklace. 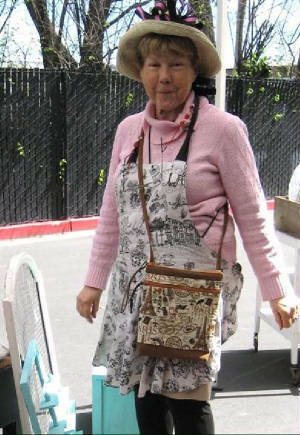 Saratoga residents portray historical characters. 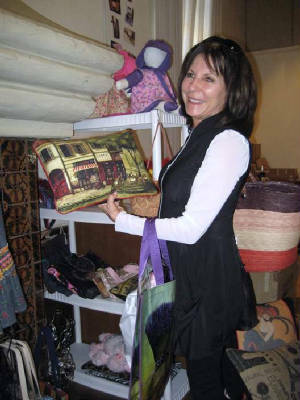 Just remember to be grateful that you have some stuff to tote.